Save up to 40% off walk up prices when you book Thorpe Park tickets online. With tickets priced from just £33pp, online bookings also guarantee entry into the park as well as allowing you to bypass the queues at the ticket kiosks. Worth looking out for bad weather guarantees too that come with online bookings that can offer you a FREE return visit, (more details below). TO BOOK GO TO Thorpe Park Tickets from £33pp. Kellogg’s are once again offering Thorpe Park 2 for 1 vouchers that are valid for use until 30 June 2020, (some restriction on dates). The great advantage with this 2 for 1 is that you can book online using a special online link when you pre-pay for your FULL PRICE accompanying ticket. Worth checking excluded dates during Fright Nights at Thorpe Park as often vouchers cannot be used during this busy time of the year. More information available at 2 for 1 Vouchers for Thorpe Park. Look out for the bad weather guarantee from Thorpe Park that runs at select times of the year that offers you a FREE return visit should the weather hamper your day out. Known as the Island Return Guarantee, it allows you a FREE like-for-like return visit if bad weather affects the ride offering for an hour or more during your visit. This offer is only available to those that book online with Thorpe Park, at select times of the year, and can be a great way to hedge your bets against the great British weather! For more details go to Thorpe Parks Tickets from £33pp – Island Return Guarantee. Each year Thorpe Park teams up with The Sun newspaper to offer 2 FREE tickets to Thorpe Park. Whilst this can be quite a complicated application process it offers you a great way to gain FREE theme park entry. This newspaper promotion tends to run during April & May each year so check back for more details as they come in. LOOK OUT FOR OUR Thorpe Park Guide; Tips To Beat The Queues that helps you get the low down on getting the most from your day at the park! Take advantage of this combined discounted package from Attractiontix that offers Thorpe Park tickets PLUS a meal deal from £39pp. As well as your theme park ticket, meals include a hot dog, fries & a drink or upgrade to unlimited drink packages, 2 day options or Fright Night tickets. TO BOOK GO TO Thorpe Park Ticket & Meal Deal Offer. Stay on-site at the Thorpe Shark Hotel and pick up attractive short break packages that include 2 day theme park tickets, accommodation plus an Unlimited Fastrack Pass until 11am. Here’s a great opportunity to get ahead of the queues on your second day with fastrack access to all available rides until 11am. Plenty of options to stay further afield too for guests looking to extend their visit to Thorpe Park. TO BOOK GO TO Thorpe Park Breaks – FREE 2nd Day. If you are a regular spender at Tesco, this can offer a great way to slash costs at Thorpe Park. Opt for daily entrance tickets or an Annual Merlin Pass with these loyalty deals. In previous years, you have also been able to upgrade to a Premium Merlin Pass for an additional cash payment on the day. This can offer value for money for those planning a cheap day to the park. 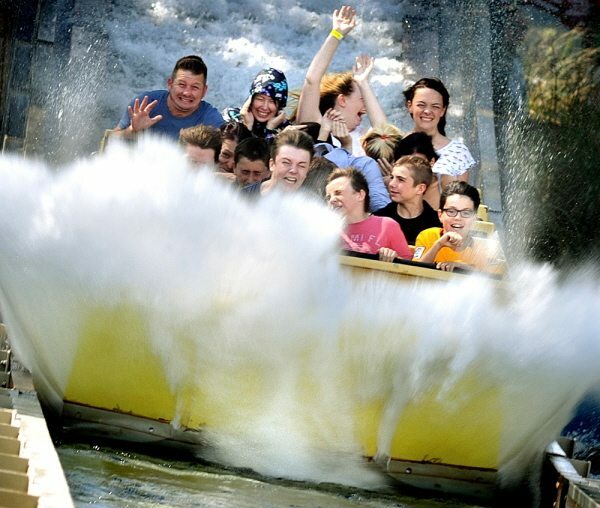 BOOK Thorpe Park Tickets from £33pp that offers saving of up to 40% off standard price tickets! Thorpe Park are keen to attract groups to the park by offering a number of enticements to larger parties that are open to friends & family too. If there is 7+ in your party then it’s worth checking out the group discounts running with even greater reductions for those with 10+ guests. 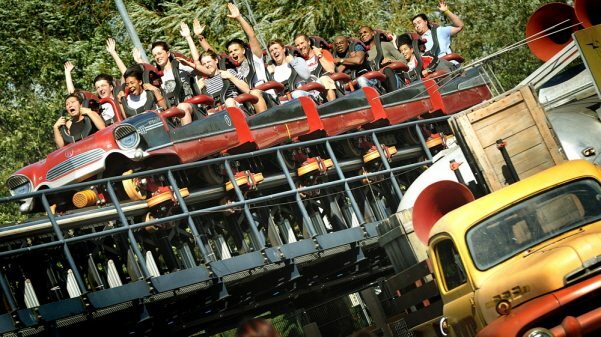 GROUPS CAN BOOK TICKETS AT Thorpe Park Tickets – Group Discounts. Thorpe Park runs some great come back deals throughout the season that secures a next day return visit to the park from just £4pp. You can simply add a second day to your online booking or upgrade at the park on the day PLUS a free parking perk that most people don’t know about! 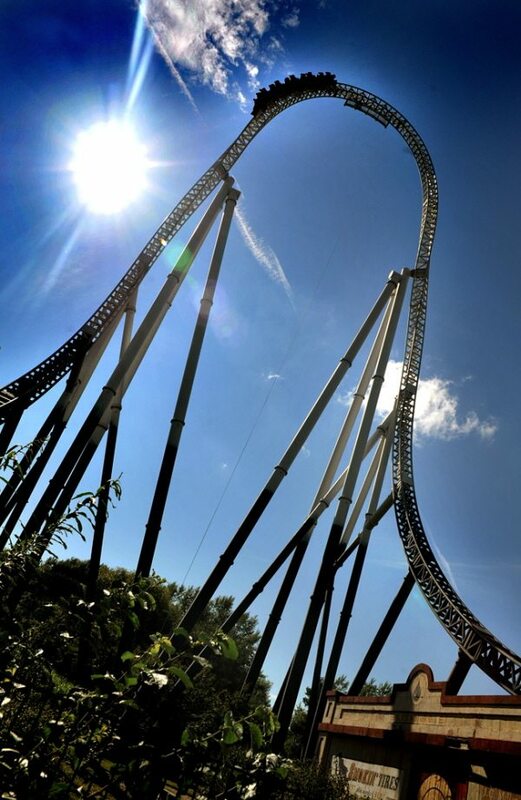 Check out our up to date list of 2 for 1 vouchers for Thorpe Park. In general terms, 2 for 1 vouchers can secure one free entry when accompanied by a full paying person and cannot be used in conjunction with online ticket discounts or any other offers. More details available at 2 for 1 Vouchers for Merlin Attractions. LOOK OUT FOR; Thorpe Park Tickets from £33pp when you book in advance that guarantees entry into the park! This entry was posted on Friday, March 1st, 2019 at 8:45 am	and is filed under . You can follow any responses to this entry through the RSS 2.0 feed. You can leave a response, or trackback from your own site. I have seen you do a stud by discount ticket, do you do the same for military or military veterans? Hi John, I suspect that Thorpe Park do offer discounted tickets for military personnel but worth double checking directly with Thorpe Park as we are an independent organization. Hi can you tell me the dates that the Cadbury voucher is not valid? Hi Ross, if you have a Cadbury 2 for 1 voucher from last year, then it is valid at Thorpe Park until 31 July 2017, (looks like there is going to be another voucher this year that will be valid until 31 July 2018). However the voucher cannot be used at Thorpe Park between 21-31 August 2017 & 20 – 31 October 2017 and is also not valid at any secondary ticketed events/hotel events/concerts/Xmas events. Do you know if you can pick up a 2 for 1 voucher for Thorpe Park on Kellogg’s cereals again this year, (2017)? Hi Irene, the Kellogg’s 2 for 1 voucher is indeed running again this year and valid for use at Thorpe Park until June 2018, (restrictions on dates). You can find the Grown Ups Go Free voucher on promotional packets of Kellogg’s cereals & snack packs offering one free adult entry when a full price adult or child ticket is purchased. Hi, Tidal Wave is a ride that is currently open in the 2016 season at Thorpe Park. SWARM is the best main thrill attraction at Thorpe park. Colossus will be running during that season. P.S. Love that ride. Going tomorrow can’t wait to ride Ghost train!!!! Swarm – we were at Thorpe Park last year but the queue was over 2 hours for this ride! Derren Brown’s Ghost Train! I’m sure it will be ‘spooktacular!’ ??? I’ll go with Mr Monkeys Banana Ride!! That’s not been said yet ha! The kids love it but so do me and my mates!! ?? Stealth. The kids really love it but I’m a bit of a scaredy cat. My competition answer is ‘Stealth’. did anyone manage to get the l2p offer today. I got through before 10 and it came up all sold out!!!!!! No joy here either:( These promotion are notoriously difficult but, hey, someone must be successful! Hi Alicia, there are a number of different 2 for 1 vouchers running so best double checking the terms & conditions of the specific voucher you have for any exclusion dates. I can say that the Kellogg’s Adults Go Free voucher & the Birds Eye voucher are both valid on select Fright Night dates but are not valid 23-31 October 2015. Hi Alicia, I also just wanted to mention that 2 for 1 vouchers do not guarantee entry as they are subject to capacity limitations so best to get there early if you are looking to use a 2 for 1 voucher. I was wondering could me and my friends use the 2 for 1 tickets you get on cereal boxes for fright night? Hi Jehona, you can use the Kellogg’s adults go free vouchers on select dates at Thorpe Park, (not valid for use 23-31 October). However worth noting that 2 for 1 vouchers do not guarantee entry and are subject to capacity limitations at the park so best to get there early. I was wondering if I could get a THORPE park annual pass for a cheaper price – last year they were selling them for £40, the price of a normal ticket. Hi Thao, for ticket rates & concessions, you are best going directly to the Thorpe park site that provides information on all ticket prices. Group prices relate to 10 or people. We list any Thorpe park offers on our Thorpe Park page – there aren’t too many deals running at the moment as the park is currently closed. Hi Thao, whilst Topdogdays is independent of Thorpe Park, (we simply let you know where the deals are), we are hearing there maybe some new developments at Thorpe Park this season. Keep checking back for more information! We are two adults looking to go to Thorpe Park on 5th November, what’s the cheapest way to get tickets? I notice they are only open 10am-4pm. Is it still full price? And is everything open? Hi Chris, it is unclear if the Kelloggs Grown Ups Go Free Voucher is valid as the terms & conditions have Thorpe Park closing on 3 November! The Sun 2 for 1 voucher is only valid until 3 November, the Walkers half price voucher also expired on 3 November;( There are significant savings if you book online that will reflect the shorter opening times. In terms of what rides are open on 5th, best contacting Thorpe Park directly. Hi I need help! Does the O2 still give me 50% off fright night ticket on wed 29th oct please? We have 6 adults and two children can we still all book online and not pay for two adults online but then show our free adults tickets at the gates because we paid for two child’s tickets online? Or do you have to buy the child’s tickets at the gates? Hi Louise, you cannot use any 2 for 1 voucher in conjunction with tickets booked online. To take secure 1 free entry, you need to be accompanied by a full paying person that pays the full on-the-gate ticket price. In the terms & conditions of the 2014 Kelloggs Grown Ups Go Free voucher it states that ‘The voucher entitles holder to one FREE ADULT ENTRY per voucher and per full paying Child or Adult’ so you can include the children in this offer should you wish but just remember to take enough vouchers for your party, (you’ll need 4 vouchers). The vouchers are not valid at Thorpe Park 30 October – 2 November 2014.
hello is there any discount tickets or vouchers for fright night thorpe park on friday 31st october 2014 or there is none ? Hi, unfortunately, I’ve not come across any vouchers that are valid for 31 October at Thorpe Park – your best bet could be to take advantage of online ticket discounts if you book online for this most popular Fright Night date. Can I use the National rail 2 for 1 vouchers on the 28th October for fright night? Hi Sarah, on the National Rail 2 for 1 voucher itself, it states that the voucher is valid at Thorpe Park until 29 October 2014. Hi Joey, yes you can use a 2014 Kelloggs Grown Ups Go Free voucher on 29 October, (but NOT valid 30 Oct – 2 November). Hi can I use the 2 for 1 voucher from the Sun yesterday on the 29th? Can you use the sun two for one on the 19 th this Sunday ?? Hi, the sun voucher, issued in October is valid at Thorpe Park until 3 November, (excludes 29 October – 2 November). I’ve got half price entry vouchers for Thorpe Park from Abbey Well bottles but I can’t find anywhere whether they’re valid for Fright Night entry or just standard day entry – all it says on the labels is that the offer is valid until end of 2014 attraction season. Hi Kamila, the half price Abbey Well vouchers are valid at Thorpe Park until 3 November but EXCLUDE 30 October – 2 November 2014. Hi where can i get Thorpe park 2 for 1 tickets for next week? Hi, the Kelloggs Grown Up Free vouchers are still available in the shops and are valid for select Fright Night dates, (excludes 30 Oct – 2 Nov 2014). Are there 2 for 1 at Thorpe park please? Hi Philippa, 2 of the most popular vouchers for Thorpe Park are Kelloggs Grown Ups Go Free vouchers and half price vouchers on single packets of Walkers Crisps. More details available at 2 for 1 Vouchers for Thorpe Park. Hi, I have a 2 for 1 voucher from tesco. I was wondering if it would be valid for the 30th October 2013 Fright Night? It doesn’t say it’s not on the voucher. are kelloggs 2 for 1 vouchers valid on fright night ? Are tesco Thorpe park vouchers valid for fright nights, assuming you get there early enough to get in? Carolyn, Tesco rewards have confirmed that Thorpe Park rewards are valid during Fright Nights at Thorpe Park although, as you rightly noted, they do not guarantee entry to the park. Fright Nights can be the busiest time of the year for Thorpe Park and once they reach capacity for the day, they will be unable to allow anyone in who hasn’t pre-booked entry, (ie those using 2 for 1 vouchers, clubcard reward vouchers etc). The best advice if you are going to use clubcard reward tokens during Fright Nights is to ensure you get there early. I am collecting sun tokens and I wanted to know if the dates in band H (7 october – 5 november) would include fright nites. I have 2 for 1 voucher but I also have nectar reward exchanged money voucher. Can I use 2 for 1 vouchers then use my £20 money off voucher against entry price? Polly, nice idea but unfortunately you cannot use any further concessions with a 2 for 1 voucher for Thorpe Park. To redeem a 2 for 1 voucher, you must be accompanied by a full paying person, (your voucher may specify whether this must be a full paying adult/child) & cannot take advantage of any other discounted offer including online ticket discounts or loyalty reward offers. Leah, if you are looking for 2 for 1 vouchers for Thorpe Park on retail goods, try promotional packs of Kellogg’s cereals or FRijj milkshakes. Hi Rhiannon,the 2 for 1 vouchers for Thorpe Park are now available on promotional packs of FRijj milkshakes and are valid until 5 November 2013, (excluding 29, 30 & 31 October & 1-4 November 2013). The Tesco clubcard voucher says it is valid on October 20th(Well it doesn’t say it’s not valid put it that way). What is a special even classed as though? Are fright nights special events? Simon, Tesco rewards have confirmed that Thorpe Park rewards are valid during Fright Nights at Thorpe Park although they do not guarantee entry to the park. Fright Nights can be the busiest time of the year for Thorpe Park and once they reach capacity for the day, they will be unable to allow anyone in who hasn’t pre-booked entry, (ie those using 2 for 1 vouchers, clubcard reward vouchers etc). The best advice if you are going to use clubcard reward tokens during Fright Nights is to ensure you get there early. Special events relate to concerts, corporate events etc. Thanks Kyle, we’ll be adding this to our list of deals for Thorpe Park, Alton Towers & other Merlin Attractions to pass on to our readers. Hi, Does anyone know if Thorpe Park are still doing the ‘come back the next day for £6 tickets’ throughout August 12. Kev, there seems to be a comeback deal throughout the season at Thorpe Park. The comeback deal tends to change throughout the year so I cannot be specific of the exact details of the current deal running. I pulled a two for one offer, from a closer magazine. but it is not listed above. hi,i have a 2 for 1 voucher from tescos is it valid on the 16th of july? hi,i have a tesco 2 for 1 voucher is it valid on the 16th of july? Hassan, you took the words right out of my mouth! If I see anything cheaper for Thorpe Park, I’ll certainly post it up so do keep checking back. Hello all. I was wondering if WH SMITH or Tesco still do the 2 for 1 thorpe park vouchers because I went to a few WH SMITH stores and they didn’t have any. Kori, unfortunately WH Smiths are not doing 2 for 1 vouhcers for Thorpe Park at present. If you are looking for a 2 for 1 voucher, try Tesco’s that have 2 for 1 Merlin vouchers on over 200 Tesco branded products. Papa John’s is doing an offer of 2 x 2 for 1 tickets free with every purchase until July. There is not much difference between a 2 for 1 voucher & 40% off at Thorpe Park…which one would you say is best to use? Hi Janet, you’re right as there is not much financially to choose between a 2 for 1 & a 40% off discount for Thorpe Park, (it works out at £4.20 per adult). If you are looking for speed & ease of entry into Thorpe Park, then go for the 40% off route as this will alleviate the neeed to use the ticket kiosks…however remember, you will need to book 7 days or more in advance for this deal and the weather is pretty unpredictable at the moment. The 2 for 1 option gives you flexibility on when to visit Thorpe Park plus it is marginally cheaper, (and this of course adds up if there are a number of you in your party)…just remember to get there early to avoid the queues at the ticket kiosk. Can I use a 2 for 1 voucher for Thorpe Park & then use a come back deal for a second day? James, yes the come back deal at Thorpe Park is available to all customers regardless of any discounts they received on entry to the park. The main requirement with a comeback deal is that customers must purchase their tickets whilst within the park on the day of their initial visit. Thorpe Park varies it’s comeback deal throughout the year, so worth checking with staff at the park on the day of your visit for further details & pricing. 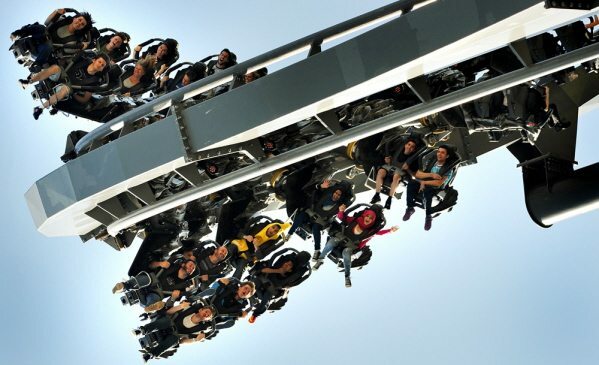 Can you pick up early ride time with the 40% off ticket price at Thorpe Park? Hi Tina, Early Ride Time is only available at Alton Towers and is not something they have at Thorpe Park…although would be a great idea if they did in the future. Hi, Does any one know where I can get an alton towers 241 ticket please? Hi Kelly, WH Smiths are currently offering 2 for 1 vouchers with every purchase. Also Tesco branded kitchen roll is carrying a 2 for 1 voucher too. You can check out further Alton Towers deals at http://www.topdogdays.com/attractions/alton-towers. Where can you buy the particular promotional packs? Very helpful! i have co-op vouchers thet appear to be in date for the 26 oct (fright night) that i want to use that date, can you book o nline with this voucher or do you have to turn up and hope to get in as it says on website that its advanced ticets??? Hi Shelly, This is a difficult one as these 2 for 1 vouchers do not allow you to book online but must be used at the ticket kiosk on the day of visit and require you to purchase a full priced adult ticket to ensure 1 free entry. However Thorpe Park do suggest you book in advance for Fright Night days. The best I can suggest is get there early on the day of your visit to ensure the park is not full. i have some bogofs (tesco and the sun newspaper) that i want to use this weekend… are they valid? If this is the July 2011 The Sun 2 for 1 Vouchers for Thorpe Park then whilst they are valid until 4 November, they exclude 22-31 October 2011 at Thorpe Park. i have a 2 for one voucher from WH smith would i be able to use it for the 27th october 2011? Afraid this 2 for 1 voucher for WH Smiths is not valid at Thorpe Park from 22-31 October 2011.
urmm, how do you get the 50% off thingy for this saturday (22nd)? Simply book online at thorpepark.com by 12 noon on Friday 21 October, so need to be quick with this one! This discount is only available for limited dates starting from 23 October 2011. Hi, just a query.. I’m hoping to go on the 21st October (this Friday), and I was hoping to be able to get a couple of 2 for 1’s. Can you advise me on how to get these? Hey, Me and my group of friends (we’re 8 people so count as a group) and we’d like to go to thorpe park on the 29th of october for fright night; on the website itself they don’t seem to be offering anything and as students that’s kind of expensive (sad times) anyhow is there any offer on at the moment so that we could go on the 29th????? Many of the 2 for 1 voucher are not valid for 29 October as this is peak time at Thorpe Park and this is maybe why you are struggling to find a deal. If you can visit another day, Thorpe Park online are currently offering 50% discount on Fright Night dates excluding 28-31 October 2011. Unfortunately, not much else going for 29th. Any joy with the 241 Coke voucher Trav? I’m just a little concerned that it has a barcode that may unique to the person that posted the link? Anthony has posted a link for a 2 for 1 offer voucher with Coke for Thorpe Park above on the 8th of October, is that for anyone to use, could I print that off and use that, or is it invalid?? I’m goin to Thorpe park on 1 September with 6 mates and I was wonder if I spend up to £10 or more in a co-op store on the same day will I still be able to use that voucher? The Co-op 2 for 1 voucher has now expired, (vouchers were available from 18/5-14/8), so it would be worth considering alternative options. As there is an odd number in your party you might want to get hold of the half price vouchers available with promotional packs of KP nuts & crisps, (remember 1 voucher per person). Alternatively, Thorpe Park online are running a September sale for groups of 7 or more that offers a 50% discount off on the gate prices, (tickets must be purchased before 11 Sept 2011). I’ve just been checking the small print on my Kellogg’s 2 for 1 voucher which says the voucher is valid until 30 June 2012 at Thorpe Park excluding 29-31 Oct 2011 and dates in 2012. You will need to pay at the ticket kiosk and purchase a full price adult ticket to gain 1 free entry. Hope this helps. Is there currently any 2 for 1 deal going on for thorpe park??? Plenty of 2 for 1 vouchers for Thorpe Park still running; try promotional packs of Kellogg’s cereals, KP nuts or promotional packs of crisps or Fanta. There is a 2 days for the price of 1 day offer also running at Thorpe Park online at the moment. Am i right in thinking the burger king tickets for thorpe park arent valid exclude all of august?? Thank you for your query regarding Burger King 2 for 1 vouchers for Thorpe Park. I have been checking the small print on my Burger King 2 for 1 voucher, which says that the voucher is valid until 6 November 2011 at Thorpe Park excluding 22 Oct -31 Oct 2011 & any special events or concerts. The way the terms & conditions have been written is quite confusing as it is at Legoland Windsor that you cannot use the voucher for August. There are plenty of 2 for 1 vouchers for Thorpe Park around that are valid through until November 2011. Whilst many of these vouchers may exclude Fright Nights, they will be fine for early September. Just check the back of the voucher to ensure it is valid on the day of your visit. I have Daily mail and Kelloggs 2 for 1 tickets. Can i use them to purchase Thorpe Park tickets online in advance? or do i have to queue at the kiosk on the day? 2 for 1 vouchers generally require you to queue up on the day at the ticket kiosk as to receive 1 free entry you need to be accompanied by a full paying adult and cannot take advantage of the Thorpe Park online discounts available if you book in advance. you can also get a 2 for 1 voucher off of Coke Zone for 5 points. Hey, thanks for that; good to know about additional deals for Thorpe Park for the season. I have a 2 for 1 voucher from WH Smith that expires in November but I couldn’t understand the terms & conditions. Can I go any day in August other than the bank holiday? Voucher is valid UNTIL 31.10.11 at Chessington, 04.11.11 at the Alton Towers Resort, 06.11.11 at THORPE PARK, LEGOLAND Windsor and 31.12.11 at Warwick Castle, Madame Tussauds, LEGOLAND Discovery Centre Manchester, the Dungeons and SEA LIFE Centres/Sanctuaries. EXCLUDING, 22.04.11 -25.04.11 & 22.10.11 – 31.10.11 at THORPE PARK, AUGUST and Park closed dates at LEGOLAND Windsor, all Zoo Days at Chessington, 19.06.11 & 29.06.11 at the Alton Towers Resort, 29.10.11- 31.10.11 at the London Dungeon, AUGUST and 25.12.11 at Madame Tussauds & SEA LIFE London Aquarium and 25.12.11 at Warwick Castle, LEGOLAND Discovery Centre Manchester, the Dungeons & SEA LIFE Centres/Sanctuaries. Please note, THORPE PARK opens on 17.03.11, the Alton Towers Theme Park & Chessington open on 26.03.11 & LEGOLAND Windsor opens on 01.04.11. Dates subject to change – check opening dates & times before your visit on the relevant Attraction website. I’m trying to bring by kids to Thrope park, And suggestions on how to get the cheapest tickets? If you are talking about the 2 for 1 vouchers that relate to the Days Out Vouchers running in The Sun last week, you can use these in August at Thorpe Park when accompanied by a full paying adult. The 2 for 1 vouchers for Thorpe Park usually include a one voucher per person per transaction clause in the terms and conditions. Of course, if you split into two’s at the ticket booths and have a 2 for 1 voucher for each transaction then it is possible to use these vouchers. For group offers you may wish to check out the moneysupermarket voucher; buy 10 full price tickets and get 6 free or take advantage of the group rate discounted prices offered by Thorpe Park online. Can’t I go on line an get the 2 4 1 deal to thopre park? The best online deals for Thorpe Park I can find is online with Thorpe Park which is offering 45% off ticket prices if you book before Thursday 21 July. Alternatively moneysupermarket online are offering 6 free tickets if you purchase 10 full price tickets. Do you just take the voucher on the cereal box to the ticket counter in thorpe park, or do you have to go to the kellogs website to register the voucher? Thanks. Yes, just cut out the voucher on the cereal box and take with you to the ticket kiosk at Thorpe Park on the day of your visit. Each 2 for 1 voucher requires that you to purchase a fully paid adult ticket to gain free entry to Thorpe Park and do remember to check out the restriction on dates. i am hoping to go to thorpe park with a few friends on 30th june 2011, are the kellogs cereal box 2 for 1 tickets valid to use? i dont understand the small print on the back of the box? Having taken at look at the Kelloggs voucher, I have taken it to mean that the voucher is valid at Thorpe Park until 30 June 2012 with the exception of 29 -30 October 2011 & when the park is closed to the public. One person gains free entry to Thorpe Park when accompanied by a full paying adult and only one voucher per person and per transaction, (so ensure you are in two’s at the ticket kiosk with enough!) Hope this helps. NEED TO COME TO THORPE PARK ON COMING MONDAY 20TH JUNE IN GROUP OF 10 TO 12 PEOPLE OR MORE ALSO WANT FREE VOUCHERS. Thorpe Park are always keen to offer groups of this size discounts on entrance charges. If it worth comparing the group discount rate with the saving you make if you were to use 2 for 1 vouchers. If you choose the voucher option, remember to split into small groups at the ticket booth as many of the vouchers only allow one per transaction. I am looking to take my wife to Thorpe Park on 17th August. Do you have any suggestions where i can get the cheapest tickets? I would suggest a 2 for 1 voucher would give you the best value for money for Thorpe Park. You can pick up a 2 for 1 voucher easily by purchasing a promotional pack of cereal, KP snacks or a can of Fanta. Have a good day. Hey jus wonderin I purchased sum 2 for 1 vouchers from WHSmiths in April will the vouchers still be vali to use in june? Thanks for your query regarding your WH Smiths 2 for 1 Vouchers for Thorpe Park. It would be worth checking the back of your 2 for 1 vouchers at the small print but when I’ve checked out mine, it states the voucher is valid at Thorpe Park until 6 November 2011 excluding 23 – 31 October 2011. A full list of terms & conditions are available at http://www.merlinentertainments.biz/terms/highstreet. I want to go to Thorpe park tomorrow and I was wondering if I book ONE ticket online for myself, will I be able to use the cereal box 2 for 1 voucher at the doors for my friend? The cereal box vouchers for Thorpe Park require the ‘free’ person to be accompanied by a full paying adult. This will not include any discounted rates that are available online but will need the full purchase price to be paid at the ticket booths. do you have to buy the tickets at the park or can u buy online to get 2 4 1? There are now quite a number of 2 for 1 vouchers available for Thorpe Park. Generally speaking 2 for 1 vouchers require you to be accompanied by a full paying adult. This fully priced ticket doesn’t usually allow you include any other further discounts such as reduced price online tickets but requires the full paying adult to purchase a full price ticket from the ticket booths. If you share the ticket costs this voucher will in effect give you both a half price ticket to Thorpe Park. Worth checking out the terms & conditions on the back of each 2 for 1 voucher to ensure you comply and secure the deal. did you know if the half price deal is still on with certain crisps? or the 2 for 1 with kellogs cereal? I understand the half price voucher with promotional packets of crisps/nuts for Thorpe Park is running through the summer whilst stocks last. The Kellogg’s cereal is again only on promotional packs so worth checking in store before you make a purchase. hi, if i buy a burger king meal before may 31, will the voucher still be valid on the first week of june? Yes, whilst the vouchers are only available until the end of May 2011, the Burger Kind voucher is valid for Thorpe Park until 6 November 2011 excluding 22 October to 31 October 2011 and any special events/concerts. We do update these articles to keep up to date with current deals for Thorpe Park. I’m not sure what the link was you were referring to for the 2 for 1 voucher for Thorpe Park, but hopefully the information within the article will signpost you to all the currrent deals. Thanks for the positive feedback, always good to hear! There are some great 2 for 1 vouchers around for Thorpe Park so hope you find a great deal for this popular theme park. Our guide to parking at Thorpe Park including parking charges, FREE drop off/collection options and FREE parking options. Our guide to Fastrack Tickets at Thorpe Park including fastrack ticket prices and tips to beat the queues. For those looking to capture the moment follow our Guide to Ride Photography at Thorpe Park.